-The Heat stayed with Sunday's starting unit of Whiteside, James Johnson, Rodney McGruder, Waiters and Dragic against the Nets tonight. Before the game, Spo told reporters he was looking for a better performance from the first unit. -Keep in mind that the lineup is not set yet. Spo is still experimenting with different lineup combinations. Don't be surprised to see Josh Richardson and/or Justise Winslow in the lineup at some point this preseason. -Hassan was more engaged and aggressive tonight. The Heat big man finished with 19 points, 9 rebs, and 2 2blks. -Goran Dragic also did well in his minutes. -Dion Waiters and James Johnson were off. Both players combined to score four points on 2-of-12 shooting, and committed seven turnovers. -Similar to Sunday's game, the Heat substituted its entire first unit for the second unit before the first period ended. The first unit then returned midway in the second quarter. -The Heat as a team struggled to hit shots. Especially beyond the arc making only 4 of the 27 three point attempts. Additionally, they had trouble stopping the Nets on the other end. 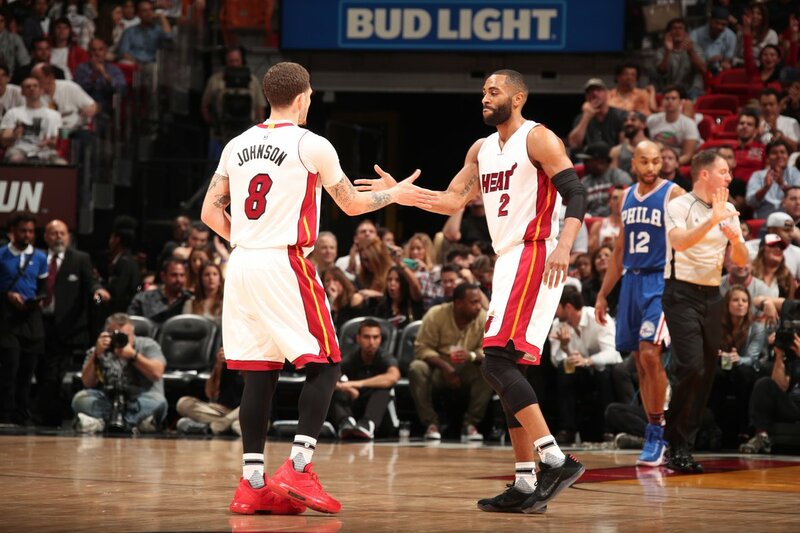 -Tyler Johnson continued to play well. He was hitting jumpers from both mid and long range finishing with 21 points. Johnson also grabbed 9 rebounds. -His role is already set as the Heat's sixth man. He's emerging as one of the top bench players in the league. -Winslow did a great job tonight getting to the line, especially in transition. But, the shot remains a work in progress. -I did wish Justise had the ball in his hands more than TJ and JRich. He's the best ball handler in the second unit. -Bam Adebayo remains out of the Heat's 10 man rotation. The team is bringing him along slowly for now. He will get his opportunity.